There are many theories about why domestic abuse occurs but also many disagreements about how large a role these factors play in triggering domestic abuse. The DOJ’s domestic violence website notes that children who are frequently exposed to violence in the home learn that it is a normal way of life. That early exposure increases their risk of becoming an abuser or a victim of abuse. But some experts in domestic violence believe that “learned behavior” is more of an excuse used by abusers for their behavior and not a real root cause. The New York State Office for the Prevention of Domestic Violence (OPDV), for example, notes that when people become adults they make choices about how they act. They can choose to repeat a behavior that they’ve learned—abusing a partner—or choose to behave in a new or different way because they recognize that the old behavior that they observed is wrong. In an article on psychcentral.com, Dr. Toby Goldsmith maintains that domestic violence may start because abusers want to control their spouses. The abusers may be jealous, have low self-esteem or feel inferior to their partner in some way. For example, the abuser may have come from a family with less money than his partner or may have only a high school degree where the abused person has a college degree. The abuser may never inflict a blow on their partner, but may degrade them in other ways, telling them that they are unattractive or stupid, for example. The abuser may assert control by constantly checking up on their partner, calling or texting or going through their personal belongings. Controlling the other partner through abusive behavior makes the abuser feel superior to his victim. A report from the World Health Organization says that “Different cultural and social norms support different types of violence… For instance, traditional beliefs that men have a right to control or discipline women through physical means makes women vulnerable to violence by intimate partners and places girls at risk of sexual abuse.” These cultures see women as inferior to men and/or as their property; men can treat women as they choose. In these situations, women may come to see abuse as simply their lot in life. Even in cultures where people believe that domestic violence wrong they may ignore it because they regard it as a shameful family secret. That secret must remain hidden no matter what the consequences to the abused spouse. Preserving the family’s honor is more important than exposing an abuser. According to the Joyful Heart Foundation—an organization dedicated to helping victims of sexual assault heal and reclaim a sense of joy in their lives—incidents of domestic violence increase exponentially during economic downturns. Some men who lose their jobs or see bills mounting up may take out their frustration out on their partner (and on their children as well). Health problems, the addition of a child to the family or the loss of a loved one can also increase stress that leads to domestic abuse. There are many media reports about members of the armed forces who have returned to this country suffering from post-traumatic stress disorder after deployment in a war zone. In a story for National Public Radio, Dr. Casey Taft, a researcher with the U.S. Department of Veteran Affairs, said that veterans with PTSD are three times more likely to be violent. After exposure to war-zone and combat trauma, they are more likely to assume that people are trying to harm them and respond aggressively. The PTSD symptoms are more pronounced when the veteran abuses alcohol and/or drugs. According to the OPDV, most people who abuse substances don’t abuse their partners, but a substantial portion of people who abuse their partners also abuse substances. Intimate partner violence against female partners was two to four times higher among men with alcohol problems than among other men. Substance abuse preceded almost half (47%) of domestic assaults. Because substances such as alcohol break down inhibitions, the abuser is more likely to act upon his negative feelings. He may feel that his violence is justified because he seems the partner in a more negative light. The OPDV notes, however, that an abuser’s attitudes may be the biggest factor in whether or not substance abuse causes a problem. The abuser usually believes that violence is acceptable, that alcohol increases aggressiveness and that he has the right to control his partner. Although some of these theories may explain how domestic violence starts, many people wonder why an abused spouse or partner remains with the abuser. Why don’t they leave the situation and seek help? • Some women come from cultures where abuse is accepted as normal. • An abused spouse might feel like she has no place to turn to because the abuser has isolated her from family and friends and she isn’t aware of the community resources available to assist her. • The abuse victim may be totally dependent on the abuser for her financial support. • Reporting domestic violence to authorities could endanger the abuser’s job, and that would put the couple or the family into a more precarious financial situation, increasing the stress in an already strained household. • The situation is further complicated if there are children in the home. As bad as the home situation might be, the abuser is afraid that if she reports the violence to authorities or seeks other help she could lose her children because she has no place to live. 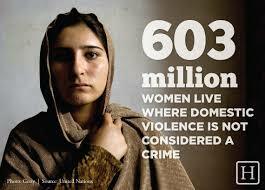 No matter what the reasons behind an abuser’s behavior, there is no excuse for domestic violence. Taking out anger and frustration on another person, and most particularly on an intimate partner, is never justified. That being said, we are human, and we make mistakes. Whether you did something wrong or stand unfairly accused of domestic violence in Los Angeles, our compassionate, strategic defense attorneys can help you resolve your crisis. Please call us for a confidential consultation.